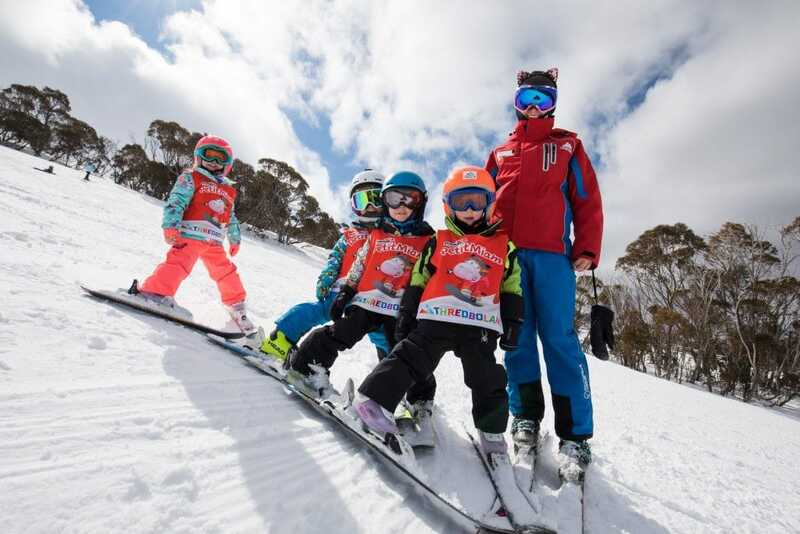 Little Rippers is a 12 week season long program ideal for all young skiers aged 3 to 6 and snowboarders aged 5 & 6 who will be in Thredbo during winter 2019. This group receive extra attention from the specialised instructors and their support team who teach, nurture and guide them in a fun and happy environment. The MAX 4 and MAX 6 group sizes will see kids quickly progress over the 12 week program. For those kids looking for some extra snow time, Little Rippers may book additional retail lesson days throughout the season at a discounted rate. Little Rippers will also offer a 5 day school holiday camp in 2019. This camp will run from Monday July 8th through until Friday July 12th. Holiday camp will be action packed with skill development the main focus. Groups will be formed based on ability. Form Your own Team Thursdays also available for those wishing to book an additional program each Thursday. *Additional days and school holiday camp do not offer maximum group sizes.